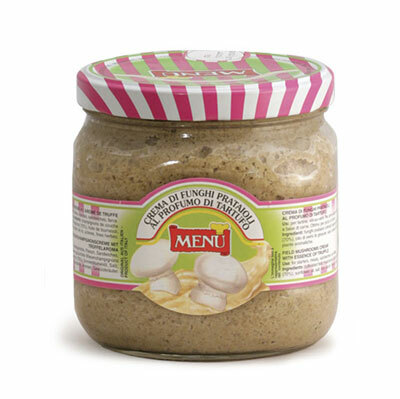 Fresh field mushroom finely chopped, and truffle-flavoured to create a palatable sauce spread. The flavour of mushrooms with the flavour of truffle together give an intense and refined taste to this special cream. Ideal with canapés, vol-au-vents, first and main courses, meat dishes. Perfect with sandwiches, rice, pasta and quiches.